Elder Ryan Bell Texas Houston Mission: country guy with an awesome accent! This week, we taught a wonderful lesson to our investigator who is set to be baptized on November 3rd (Moved it from October 27th because of some scheduling conflicts so his teenage daughters can come). The lesson was great- he is such a fantastic and fired up man! His humility is astounding, and I must say that I am very excited for him to get the priesthood- he is a passionate worker and will magnify his calling more than most lifelong members. After our lesson, we were driving out of this gated community where we are legitimately not allowed to go knock on doors. As we pass the house of a less-active member named Megan, we see a truck in the driveway and almost swerve like madmen to go and see if she was home. (We have been trying to meet with her for a while but she is hard to catch). We ring on the doorbell and to our surprise a man answers the door. "Hello! You must be Mr. Peter" we say. He is a country guy with an awesome accent! He invites us in and shows us the deer and ducks that he and his wife have shot, now stuffed and hanging on the wall. From the moment we shook his hand, the air was filled with this incredible, powerful spirit. He got us drinks and he showed us a little bit about what his business does (Hydrostatic pipeline testing for the oil industry). After a couple minutes he invites us to sit and says, "So, what did you need to talk to me about?" Now let's pause here- we showed up at his house on a whim. We had no prepared presentation, and in fact, did not even expect to find him there. In truth, we had not come with a purpose at all, but the Lord had a purpose, and I wonder if Mr. Peter sensed that. We sit down and for some reason say, "Mr. Peter (Or Justin as he asked us to call him). Justin, the Lord's power and authority is on the earth again, given to man to act in His name. He wants you to have this Priesthood." It would be impossible to describe what it is like having a direct message from the Lord proceed from you to one of God's beloved children in the very moment. We had not planned that day to meet a complete stranger and tell him, with the Holy Ghost permeating the air, God wants you to be a member of His Church and He wants you to have His power; to be a leader in preparing the world for His coming again. In speaking with Justin, I knew by the Spirit that God loved Him, was mindful of His talents and abilities, and wanted him to return to Him. 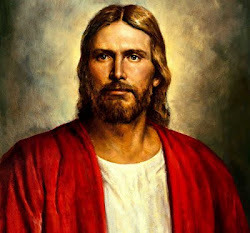 He had a plan for this man, and we were able to teach and testify about the Restoration of the Gospel of Jesus Christ and the Holy Priesthood through Joseph Smith to conform this man's life to that plan. Experiences like this make missionary work the most rewarding work in the universe, bar none. I love you all and hope that everyone can have such experiences this week as well!